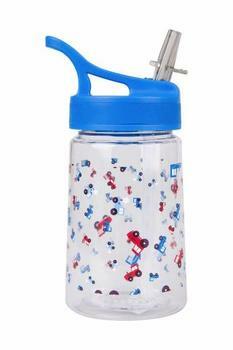 Mountain Warehouse, of London, England, is recalling about 1,000 children’s water bottles. The water bottle’s spout can detach, exposing a small ring, posing a choking hazard. This recall involves a plastic 350-ml children’s water bottle that come with a screw on solid color top with a pop up straw and handle. A barcode is printed on the price sticker located at the bottom of it. The water bottles were sold in multiple colors and prints including: tractors, hedgehogs, sharks, fish and horses. The water bottles, manufactured in China, were sold at Mountain Warehouse stores nationwide and online at www.mountainwarehouse.com/us from July 2017, through September 2018, for about $10. Consumers may contact Mountain Warehouse toll-free at (866)313-2493 from 9 a.m. – 5 p.m. (ET) Monday through Friday, by email at mailto:info@mountainwarehouse.com or online at www.mountainwarehouse.com for more information.